Handbags are a necessity and are accordingly used by women every single day as they go about their daily lives, and since everyone is different there are accordingly many different handbag styles from which to choose from. Because there are numerous types of handbags available, including designer handbags, we have listed the top five handbag styles that we think every woman should own. 1. An Everyday Handbag. This is your main handbag and will accordingly be the one you use the most. 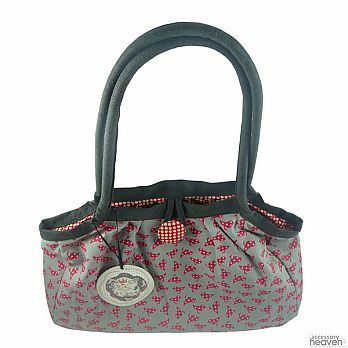 This handbag will hold all your personal belongings and as you find the need to use other handbags then you will simply take items from your everyday handbag and put them into the next handbag. 2. An Oversized Handbag. This super large handbag became popular once all the celebrities had one. Women were attracted to this oversized bag because it’s so unbelievably easy to use, not to mention that this style of handbags are usually very fashionable and soft. 3. A Clutch. This is the perfect handbag for going somewhere formal and holds true to its name as you simply use your hand to ‘clutch’ it, although there are some that have chains you can attach if you’d prefer. You probably won’t use this handbag too often but when the occasion arises that calls for a clutch then you’ll be happy you have one. 4. A Wrist Handbag. Similar to the clutch, wrist handbags are meant to be held in the hand, or by the wrist by the little chain that most wrist handbags come with. Although, the clutch is meant for more formal occasions and the wrist handbag is for more casual dates. 5. A Structured Handbag. Structured handbags are handbags that are created for a specific purpose, such as a structured bag for work in which you would keep all your work-related items in and that you know you will need to be able to grab in an instant. Make one for various purposes as this is a great way to also keep organized. Designer handbags are becoming more and more popular as prices continue to come down, making it so that they are much more affordable for the average woman to purchase. You are sure to find designer handbags in the styles listed above, if you so desire, just know that they will be more expensive. Keep some of your items organized in little see through bags so that when you change handbags you just have to simply grab these see through bags and throw them into the next handbag. Noelle Towler is an entrepreneur, self-confessed accessoriser and the creative soul behind Accessory Heaven. Noelle loves to write for women, helping them express their personality through beautiful, well-crafted, designer handbags and purses. Through Accessory Heaven, she’s bringing fashion advice on beautiful designer handbags – empowering women to express their unique creativity while supporting innovative, unique, local and emerging artists. 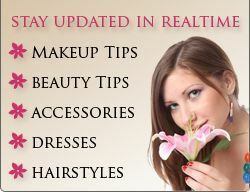 The site features a wide range of products including mothers day gifts. In her spare time, Noelle is the founder of Invite Life an online youth development website.